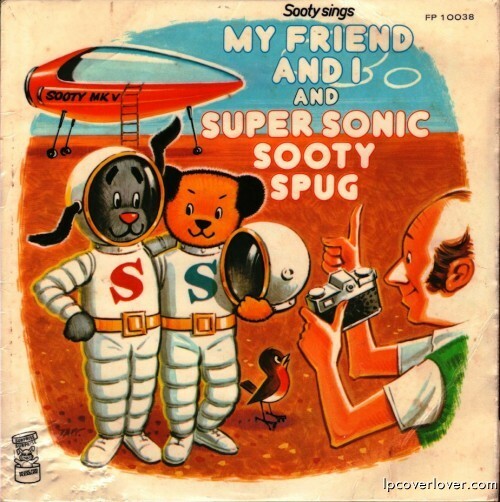 Sooty sings “My Friend and I” b/w “Super Sonic Sooty Spug” EMI Records (England) (1973) Sleeve Illustration Joe Tattersall Okay, so Sooty was a BEAR, not a dog (thanks). We’re open to a better headline here! And what makes it weirder of course is that Sooty is not only British, but also a bear. And if you’ve ever seen the show, I’d hope they’d have confiscated that water pistol!